Find the Best Things to Do in Boston in the Summer - Sailing, Concerts, Biking, Beaches, More! 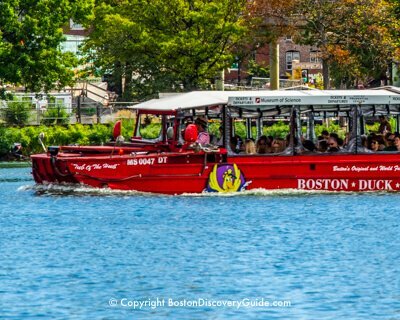 Boston's best activities for summer let you take advantage of beautiful sunny days, warm nights, and the city's excellent waterfront location. 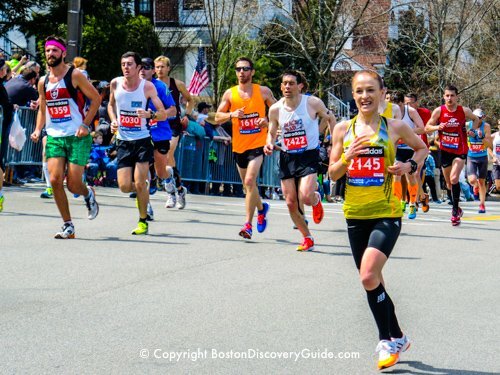 You'll quickly see why Boston offers the perfect combination of sports, culture, and lots of fun outdoor things to do on land and water. 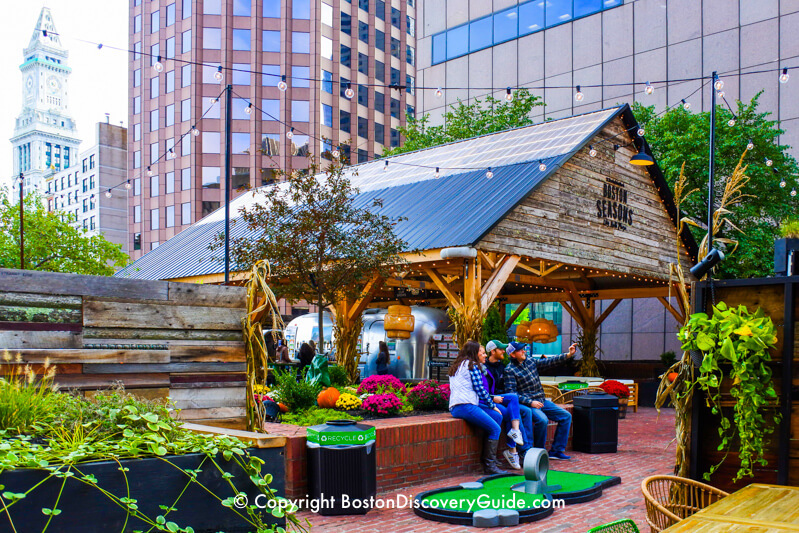 Use our guide to find Boston's best summer activities: sailing, whale watching cruises, outdoor concerts, bike tours, local beaches, Red Sox games at Fenway Park, outdoor dining at our top restaurants, Shakespeare on Boston Common, and lots more! Weather forecast not so good? Find out what to do in Boston in the rain. As soon as warm weather hints at summer's arrival, Boston concerts move to outdoor venues, where you can experience memorable performances by megastars, emerging artists, and popular favorites. Of course, concerts continue throughout the summer at Boston's indoor concert venues also. Located just 25 miles from Boston by water, Stellwagen Bank is the best place for whale watching along the East Coast. 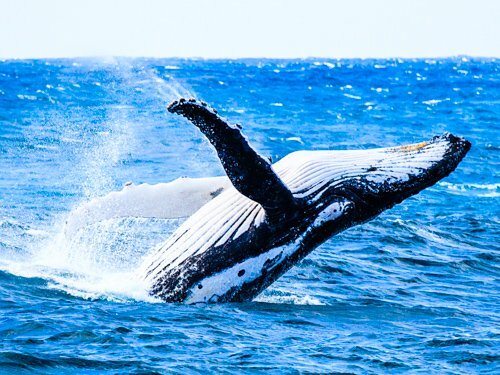 Going on a Boston whale watching cruise brings you up close to some of the ocean's most fascinating creatures. What will you encounter? Typically, you'll see humpbacks, minke whales, and finbacks, along with dolphins, sea birds, and other aquatic life. Plus, you'll pass numerous Boston Harbor Islands and several historic lighthouses. Don't miss this unforgettable experience. 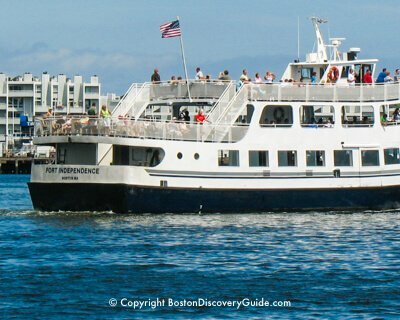 Not surprisingly, for visitors and locals alike, whale watch cruises are one of Boston's most popular summer activities. 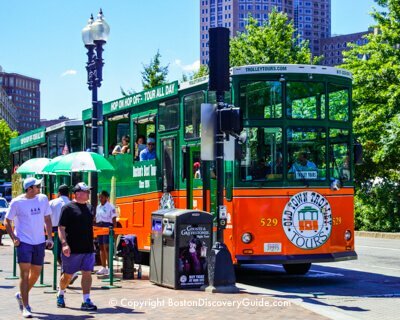 These fun tours, excursions, and special destinations let you enjoy the best of Boston even on the hottest summer days! On hot summer days (or even warm spring and fall days), escape the summer heat by heading to a Boston beach. True, Boston beaches don't rival the gorgeous sandy expanses of Cape Cod, the rugged beauty of Gloucester beaches, or ocean-facing beaches in Maine or Rhode Island - but you can reach them in less than an hour on public transportation from Boston, so you can't beat the convenience. 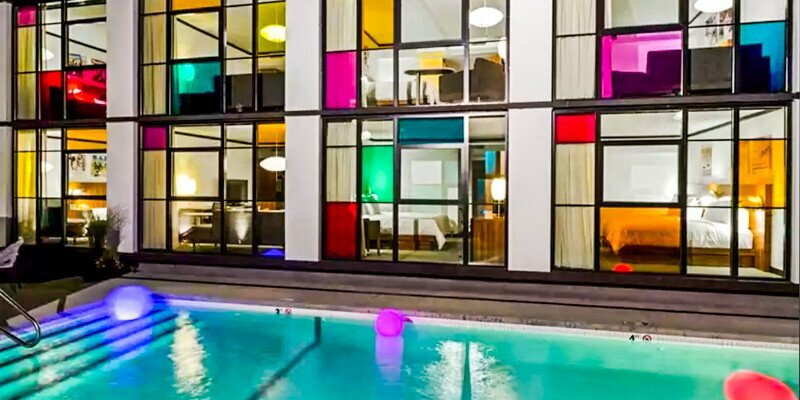 If you want a place to swim, build a sand castle, and soak up some sun without leaving the city, you'll find a lot to love at these convenient city beaches. 5. 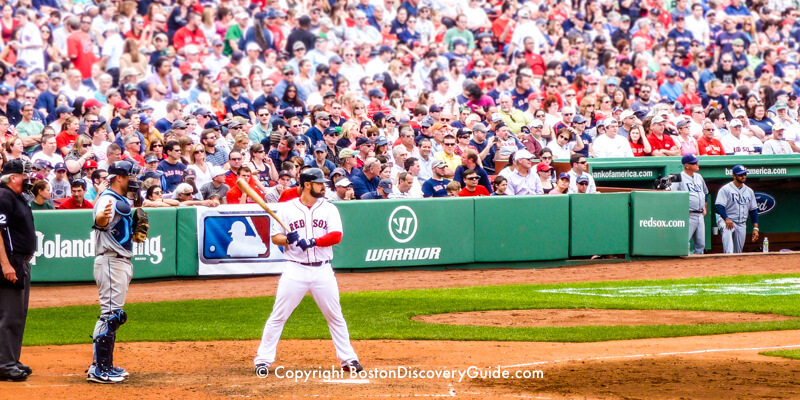 Experience the Boston Red Sox at Fenway Park! What to do on a warm summer afternoon or balmy evening in Boston? Head to Fenway Park, home field of the Red Sox. The in-town ball park is super-easy to get to using public transportation, the smell of Fenway Franks divine, and the experience of being part of the crowd cheering in the stadium is exciting, no matter which team wins. Water surrounds Boston on 3 sides, making it one of the best spots on the East Coast for sailing. Of course, you can enjoy the water on one of the many Harbor cruises - but if you'd like more active involvement, spend a few days taking sailing lessons and you'll be addicted to this favorite local sport. 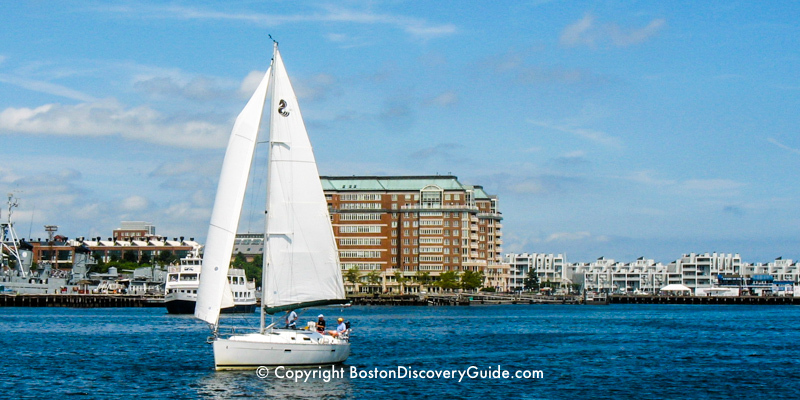 Find out about Boston sailing lessons, charters, clubs. 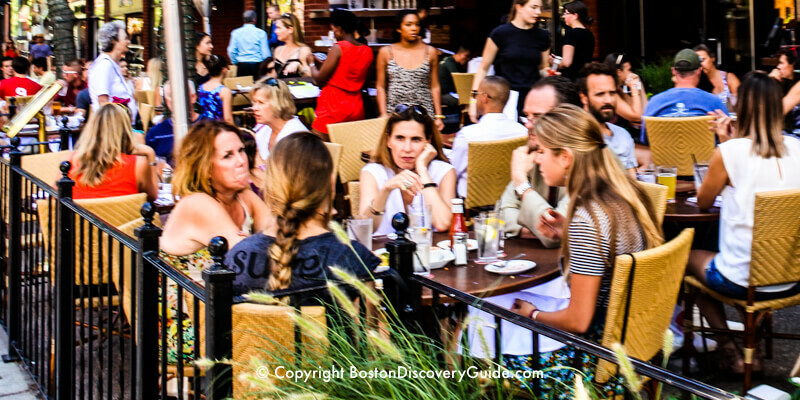 Dining outdoors is one of the great pleasures of being in Boston in the summer. 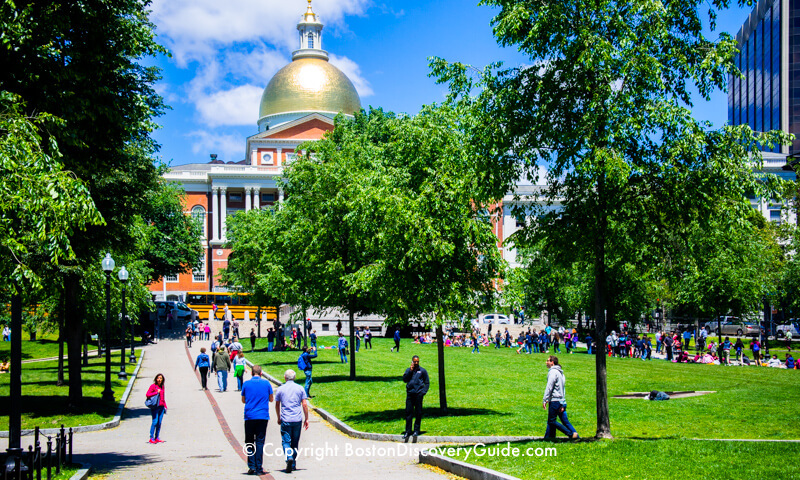 Get some exercise and learn about Boston and American history at the same time when you walk the length of the 2.5 mile Freedom Trail, starting at Boston Common. 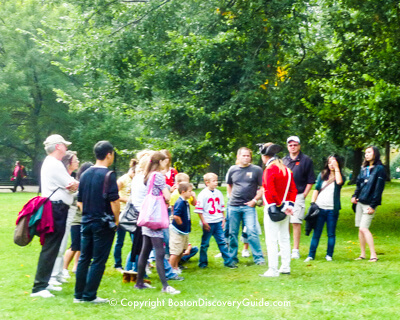 The Trail takes you to 16 sites crucial to American liberty in historic downtown Boston, the North End, and Charlestown. 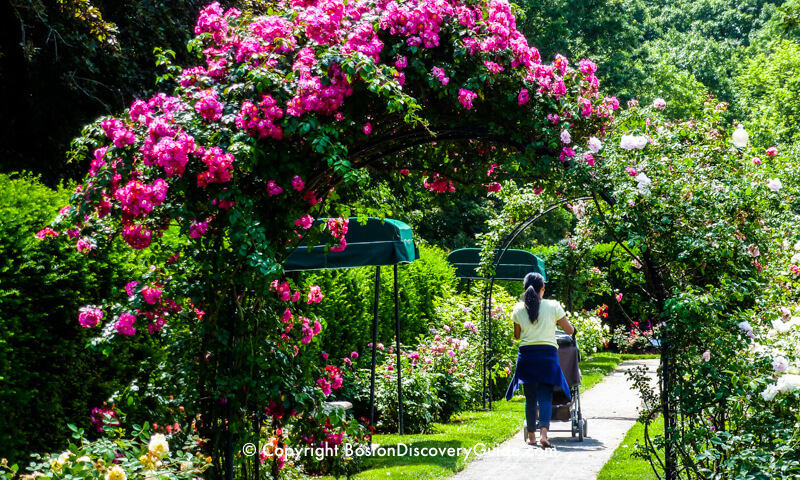 Boston's magnificent gardens, both public and private, burst into bloom in late spring and continue their spectacular displays throughout the summer. Whether you're an avid gardener or just like flowers, garden tours in Boston and Cambridge from May to September let you view these special and sometimes hidden paradises - plus they provide a great way to explore the parts of the city where they're located: Beacon Hill, Fenway, the South End, Cambridge, and more. 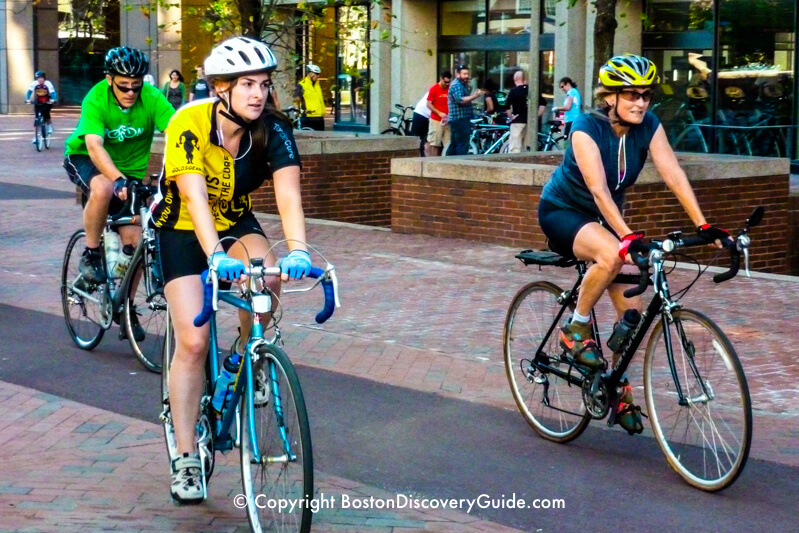 Combine exercise with Boston sightseeing when you join a group tour led by avid cyclists who'll share details about the city's history and culture as you ride. Tours accommodate all skill levels and most are for kids as well as adults. 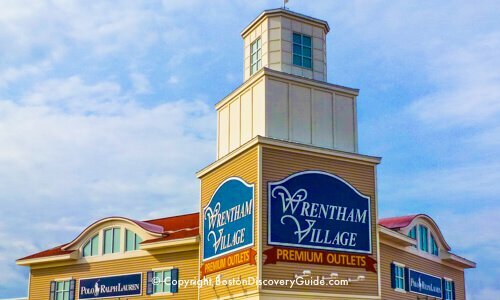 One of the most popular summer activities in Boston! 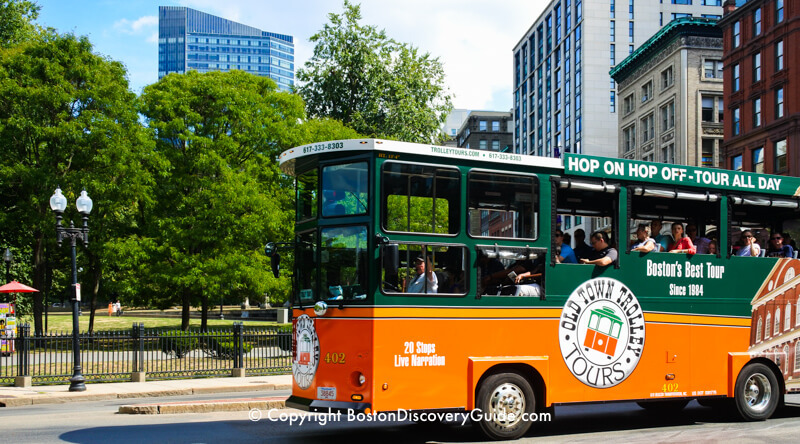 These trolley tours, bus tours, and special destinations let you enjoy the best of Boston!